Members are welcome to read the journal. 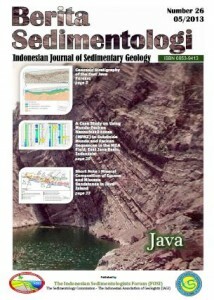 Click the cover image to down load the journal in PDF format. For fast download and lower resolution file, click here. This entry was posted in Berita Sedimentologi Online and tagged bs#26, fosi, java. Bookmark the permalink.